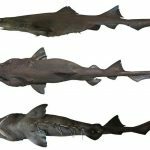 Another week, another new shark species! While many can believe that scientists find new species in the ocean, swimming around freely… that isn’t always the case. In fact, it is rarely the case. 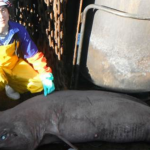 The place where most researchers find new species is in fish markets. It’s a girl! It’s a boy! It’s a new shark species! 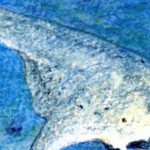 There are many strange-shaped sharks in the world, but a big fish native to big sandy bays on Ireland’s west coast is among the least shark-like of all. 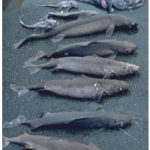 Every year six million deep sea sharks are killed for squalene, including endangered species like the gulper shark and Portuguese dogfish. 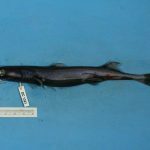 A two-month fishing expedition to the Indian Ocean has turned up hundreds of strange deep-sea sharks, and several are likely new to science. 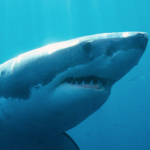 Deep-water sharks join the ranks of species facing extinction, together with polar bears and the hippopotamus, listed on the World Conservation Union’s 2006 Red List of Threatened Species. The World Conservation Union (IUCN) Red List, released on 2 May 2006 in Switzerland, is the world’s most authoritative inventory of the conservation status of animals and plants. The slow and steady life strategy of sharks may have served them well for millions of years, but now these fearsome fish are under serious threat from a combination of destructive fishing practices. 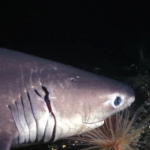 In the marine area covered by the International Council for the Exploration of the Sea (ICES) – the North Atlantic, Baltic and North Sea – over 100 species of sharks and their relatives (together known as elasmobranchs) have been recorded. Yet from the wide diversity of European species, only a few have supported fisheries.